October marks the start of National Home Security Month (NHSM); and, with the clocks set to go back and the dark winter nights already drawing in, there’s no better time to review and enhance your home security. If you want to leave opportunistic thieves out in the cold this winter, look no further than Anglian Home Improvements’ top tips on keeping your home safe and secure. Burglars are often opportunists and therefore target your beautiful home when it appears unoccupied. Install trusty timers that cause your lights, music and televisions to switch on when you are out and about. Another handy piece of tech are outdoor movement sensitive lights which are brilliant in deterring burglars. After all, not everyone enjoys the spotlight. We know how much you like to remind people of your upcoming holiday, but burglars are definitely not people who need to know about your much-needed winter sun. Daily updates of your beautiful winter escape on Facebook and Instagram can wait until you are home. You never know who could be watching! If you’re away, alert your alarm company to ensure they react as efficiently and appropriately as possible in case of a break-in. You’ll thank them later! Try Anglian’s new Composite doors. You won’t regret your purchase as they offer the highest level of security, perfect for deterring burglars. They come in all styles and a variety of colours, including pink! What are you waiting for? You have the ability to outsmart any burglar with this new addition to Anglian. Why not take your home security to the next level with the Yale Conexis™ L1 Smart Door Lock? The Smart Door uses only Bluetooth and requires no key, therefore no key hole that could be picked easily by burglars. That’s one way to outwit an intruder! Your security is Anglian’s number one priority, and we do our best to ensure your home is as secure as it can be. 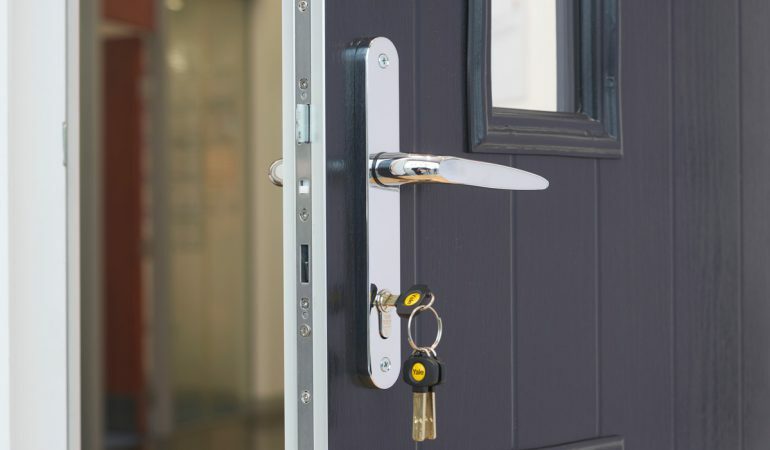 Find out more here: https://www.anglianhome.co.uk/doors/security/?from=3590 Relax and enjoy a cosy winter ahead, safe in knowledge your doors and windows won’t let you down!